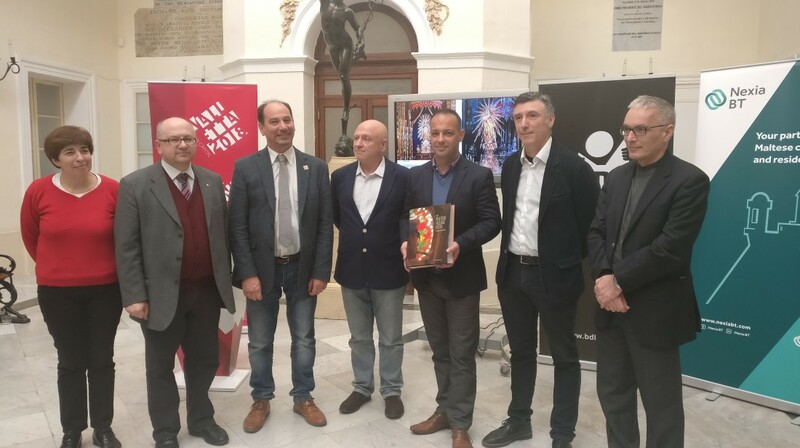 Publication editor Godfrey Farrugia (centre left), author Patrick Fenech (centre) and Valletta 2018 Chairman Jason Micallef (centre right) together with other collaborators who contributed to 'The Maltese Village Festa' publication. The Valletta 2018 Chairman Jason Micallef together with artist, photographer and visiting lecture of documentary photography at the Faculty of Media and Knowledge Sciences at the University of Malta Patrick J. Fenech launched The Maltese Village Festa – A Traditional Yearly Ritual’ earlier today. The book investigates the yearly ritual of the Maltese festa of different villages around Malta and Gozo, a tradition which has been going on for hundreds of years. The books includes over 750 colour photographs and academic essays which look at the evolution of the festa from medieval times to the present-day one. It also includes a collection of statuary representations of patron saints of titular and secondary feats which are the central focus of these religious celebrations. Fenech, the author, together with a field of experts from the fields of anthropology, the performing arts, pyrotechnic manufacture and liturgical academics, created the narrative for this publication.